The summer of 2015 was without doubt the most successful period of Track and Field in my career. 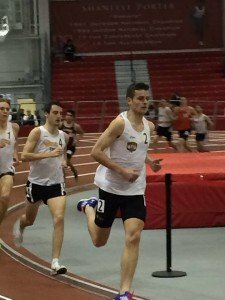 I set PR’s over 5 distances (800m, 1500m, mile, 5k, and 4 mile) with the sub 4 minute mile being the most significant. 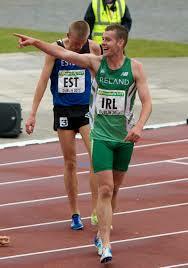 Running 3.58.50 and becoming the 27th fastest Irish miler of all time was a special feeling. Add that to the fact I broke it on a track I used to practice on twice a week as a kid in front of my family and you have a surreal moment that I will never forget. Reclaiming my Irish National 3000m steeplechase title in a windy 8:47 was another significant moment for me as I was constantly looked at as the #2 steeplechaser in the nation. Other races to note was my 1:50 800m and 14:16 5k. What’s next for me? I just came off a four week break were I got to do things without having to plan around practice and racing which was nice. I took a mental break from Track and Field which I feel is very important. Over the next few weeks I’ll gradually build my mileage before hitting a peak of 85-90 mile weeks around the start of November. I’ll also ease yoga, abs, hurdle mobility, and light weights into my weekly training. The first few months of 2016 I will run some indoor with the focus still being outdoor from April – August were I’ll try qualify for the European Championships and Olympic Games.